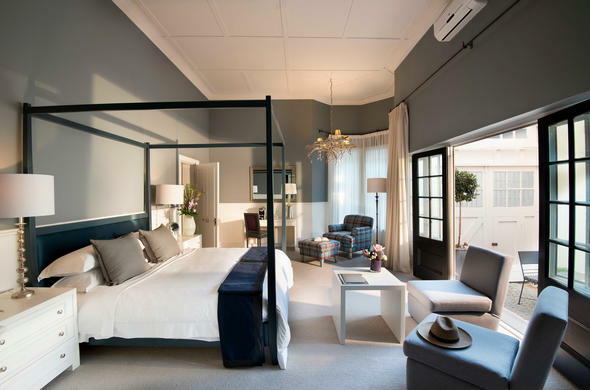 Cape Town accommodation at the Cape Cadogan Boutique Hotel is in on of 15 luxurious suites, featuring modern room amenities. Cape Town Gardens accommodation is available in one of the 15 luxuriously appointed en-suite bedrooms decorated with the bohemian chic theme in mind. There are four luxury and eight standard en-suite bedrooms. All the rooms have satellite TVs with DVD and surround sound systems, ADSL Internet access, air-conditioning and heating, electronic safes, bar fridges, luggage racks, tea and coffee making facilities, hairdryers and telephones.There are also four apartments and a presidential suite available to guests near the hotel.